Protomartyr, from left: Joe Casey, Greg Ahee, Scott Davidson, Alex Leonard. Photo by Angel Ceballos. Not many people join their first band at 34, but for Joe Casey, frontman for Detroit’s Protomartyr — headlining Seattle’s Black Lodge this Tuesday — better late than never. The foursome’s recent Under Color of Official Right is one of this still-young year’s most pleasant surprises — an intrepid signing by Sub Pop subsidiary Hardly Art, and a coup for the Motor City’s “weird punk” scene. Casey’s disgruntled-everyman persona has drawn comparisons to comic book writer Harvey Pekar and “Married With Children” protagonist Al Bundy; his deadpan delivery, post-punk oldsters Mark E. Smith, from The Fall, and David Thomas, of Pere Ubu. His biting lyrics, meanwhile, are part personal, part political and fully rooted in Detroit circa now, tackling subjects like alcoholism, deadbeat dads, corrupt politicians and gentrification. Casey’s booming bellow ensures his words get heard, while his bandmates — guitarist Greg Ahee, bassist Scott Davidson and drummer Alex Leonard — give them weight. The group’s 2012 debut was sardonically titled No Passion All Technique; follow-up Under Color has both. From the shambolic push-and-pull of “Want Remover” to the anthemic, jangly “I Stare at Floors” and spirited call-and-response on “Ain’t So Simple,” its 14 evocative songs reward repeated listens. Reached via telephone, Casey describes his hometown as a place where DIY is less a lifestyle than a way of life — where you keep expectations in check, and fingers crossed. A comedy-club doorman by day, he doesn’t see music as a star-making opportunity so much as a break from the mundane. 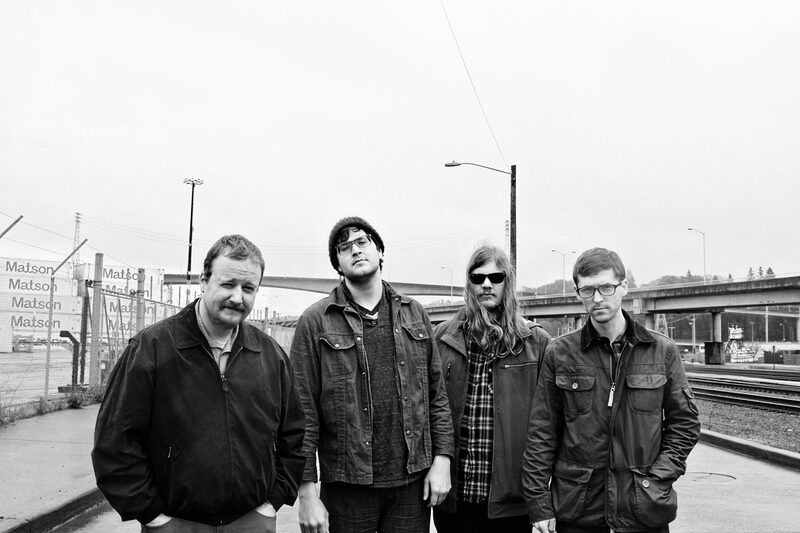 Still, Protomartyr is a special band— one with a lot to say, and the intellect and presence to say it. Under Color of Official Right doesn’t seem like a record that was made casually. How long have you and your bandmates been working on these songs? Joe Casey: Some have been around almost two years, others we thrashed into existence just before we went into the studio. The title refers to bribery by elected officials. Could you elaborate on that? JC: In Detroit, we had our last mayor, Kwame Kilpatrick, get indicted for conspiracy and fraud. When they were listing off everything he was guilty of, it was like “corruption… under color of official right… count seven.” They said this like fourteen times in a row, and it was on live television all over Detroit, so the phrase stuck with me. Have you found outsiders are sort of weirdly fascinated with Detroit? JC: Yeah, being a band from Detroit definitely helps you out. People immediately perk up their ears a little bit. I guess it’d be similar to being from Memphis, or some other town that has a musical tradition. People either ask if it’s as scary or dangerous as they’ve heard… or if there’s this big artists’ community, if you can really buy a mansion for $1,000. They want to know about both extremes. Is there a big gap between perception and reality? JC: The national take on it is, at least. No one wants to live in a metaphor, but people constantly want to use Detroit as a metaphor, so you have to deal with living in a place people have a shorthand opinion of. A lot of articles will say “this is why Detroit is the way it is,” and give, like, one reason. That’s far from the truth. It’s a complicated city. What’s the music community like? JC: It’s big — like anyplace else, I’d imagine. It’s fairly easy if you want to get a show, especially if you have your own sound system. Hamtramck, which is a small city completely surrounded by Detroit, has more bars per person than anywhere else in the world, so there’s lots of places to play. The problem is that there’s not a lot of people. Bringing an audience is hard. There is a smaller, sort-of experimental punk scene that I’ve heard described as “weird punk.” It’s just a little subsection, but we go to their shows and they come to ours, so I guess if we had to pick a scene, it’d be that one. But we’re kind of in different strata, going to different types of shows and things. Right now, is there a sense within the band that it’s becoming more serious? JC: Yeah, we’re really surprised. We had no expectations for the first record. We just thought we’d release it locally, get a review in the local weekly or on some website or something. This one, it’s actually out there, distributed all over the world. There’s a lot more press about it… and this tour is the biggest undertaking we’ve ever done, knock on wood. We’re buying a van today… that’s an investment. It’s serious biz now. The venue you’re playing in Seattle is tiny. I have a feeling you may have already outgrown it by the time you get here. JC: We’re used to playing small bars like the ones we play in Detroit… but we’re opening some shows for Cloud Nothings and Parquet Courts, and they’re a couple rungs up on the ladder, so those are bigger. It’s a bit more daunting playing larger rooms. I don’t think we’re quite there yet. I’d rather sell out a small place than play to a big, empty room. On the song “Tarpeian Rock,” you list off all these different types of people… “credit card users, adults dressed like children,” et cetera. What ties them together? JC: Some of them I really, really despise, others are just gripes. I work at a comedy club, and it always frustrates me when somebody uses a credit card to buy a $5 ticket. I’m a typical fuddy-duddy that thinks you should always have some money on you. The voice echoing in the background during all this… what is that, and what’s it saying? I can’t quite make it out. JC: It’s a combination of me shouting “throw ‘em off the rock” and then the band, farther away, shouting as well. I wanted it to almost be like a chant you’d hear at a stadium. Is “smug urban settlers” a reference to people moving to Detroit to “fix” it? JC: Yeah. People rag on hipsters all the time, which is such a catch-all, so I’m always trying to think of new ways to be more specific. In Detroit, there’s people who are moving in and doing good, mixing in well with those who’ve been here a long time… but then there’s others that are just smug about it, who think they’re saving the city by planting a garden in their backyard. They consider themselves settlers, pioneers in a sense, and for the people that live here it’s a little annoying. Detroit could use some cleaning up, but it’s huge enough that parts that don’t get gentrified will probably be okay. It’s more an issue of when old folks living in a home get kicked out to make room for fancy, expensive “artist’s lofts,” so… there’s the rich urban settlers, and then there’s the ones just trying to get away from Mom and Dad… specifically moving into a bad part of town so they can have their crazy drug parties. They get thrown off the rock, too. Is there anything behind the Alice in Chains name-drop on “What the Wall Said”? JC: A couple years ago, I was drinking pretty heavily. I was trying to build up the courage to cut back, so I thought, “if I give up going out every night and getting loaded, what will I miss?” There’s a bar by our drummer’s house, where sometimes they’ll put on 20 Alice in Chains songs in a row… which is not my idea of a good time. It’s my idea of the opposite of a good time. I’m not going to miss those nights, being in a bar with my head in my hands listening to “Rooster.” It’s not good party music… it’s depressing. 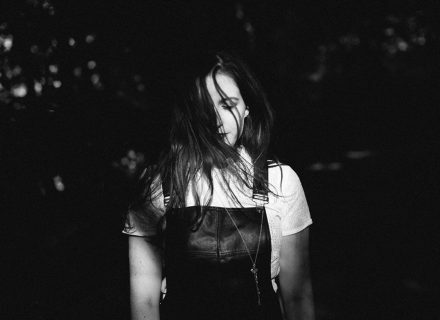 What do you most enjoy about writing lyrics? JC: I try to write about things that are different… a little surreal. It’s a nice challenge, to make it personal, but not so much that it’s sappy or sentimental… and specific, but not like reading off a grocery list, or describing what your shits look like in the morning. There’s a lot of ways to screw up a song, and trying to avoid those is fun. How old are you and your bandmates? JC: I’m 37. Everybody else is either nine or ten years younger than me. We all went to the same all-boys’ Catholic high school, but ten years apart. It didn’t seem like it had changed much, though. That’s one of the reasons we connected early on. Have you sung in bands before this one? JC: No, this is the first band I’ve ever been in. I don’t have any musical skill, really. I don’t know any notes… I don’t know anything. But I liked seeing shows and hanging out with people in bands, so I figured I might as well give it a shot, like, “well, it’s now or never.” I didn’t have much else going on before, but now I do. What makes a good frontperson, to you? JC: I like frontmen that have a certain confidence I don’t have, that don’t pander to the audience. I also like voices that are unusual. I’m not a fan of people who can sing extra well. Someone like Shane McGowan from The Pogues, he hits the notes, but it’s something you can sing along to. I’ve always enjoyed them, though I feel like on the musical tree they’re kind of a dead branch. Any band influenced by them, I haven’t liked at all. Every town’s got an Irish punk band, but you can’t replicate The Pogues. Do you find people ever misread you as trying to be funny? JC: Yeah, and that’s fine. I’d rather be misunderstood, as long as no one’s accusing me of being something terrible. I included the lyrics book in the album because I like figuring out what people are saying… but I like leaving it up to interpretation, too. Like, The Fall… you don’t know what the hell Mark E. Smith is saying. You can look at the lyrics, but that still doesn’t clear up what exactly he means. I look forward to reading those, and spending more time with the album. JC: Nice. People have been telling me it’s a slow grower. Nowadays, it’s harder to take the time with a record, so maybe that isn’t a good thing, but I think — I hope — it is.